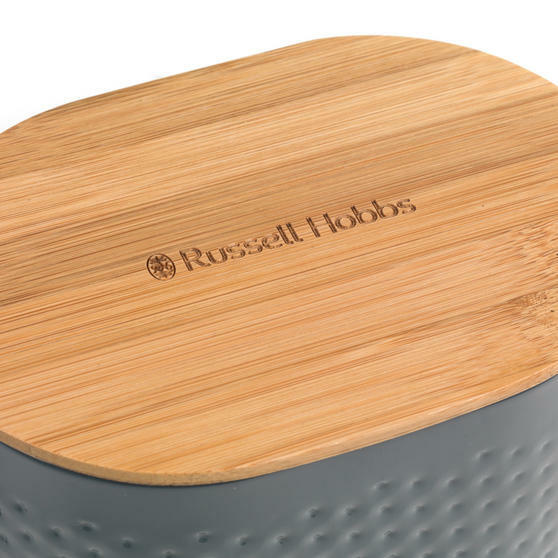 Practical with a modern flare, this embossed storage set with bamboo lids from Russell Hobbs is a great way to store your dry ingredients. Space saving, the three storage caddies are perfect for keeping tea, coffee and sugar at their best, measuring 15 x 10.5 x 13cm each. 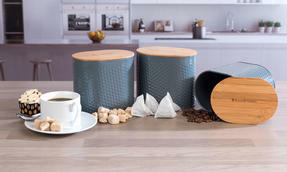 Designed to fit nicely on any kitchen worktop, this set is constructed from durable carbon steel for longevity and comes complete with naturally hygienic bamboo lids fitted with a silicone seal to keep the storage airtight. 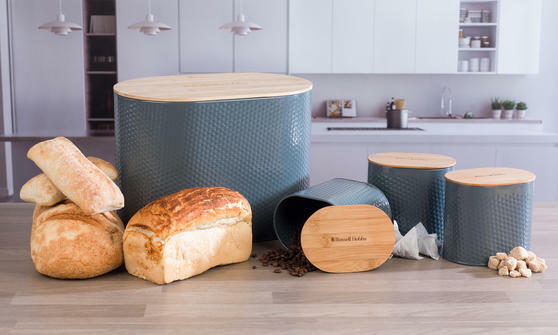 Inject some modern style into your kitchen with this embossed storage set with bread bin and bamboo lids from Russell Hobbs. 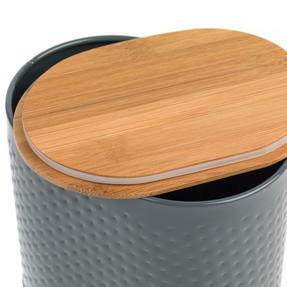 Made from hard wearing carbon steel and finished with a bamboo lid, this storage set is built to last and to withstand repeated use. With naturally occurring hygienic properties, the bamboo lid features a silicone seal, creating an airtight atmosphere for your food. Measuring 15 x 10.5 x 13cm, the three canisters sit nicely on worktops and are ideal for storing foods such as tea, coffee and sugar. 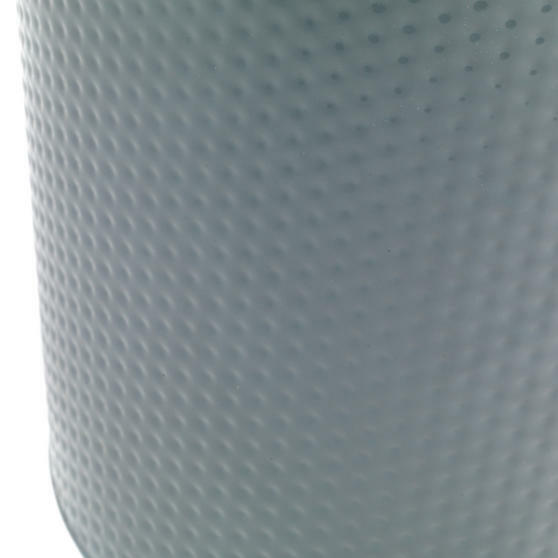 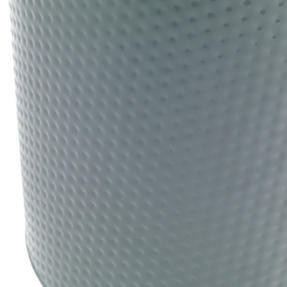 Sleek and modern, the embossed design is finished with a neutral dark grey – perfect for most kitchen schemes.